Outotec is a global leader in the mining and metallurgical technology industry with a strong focus on sustainability. Outotec designs and delivers tailored solutions for minerals and metals processing, water treatment, and energy industry customers, and provides sustainable life-cycle solutions that optimize the value creation in the full value chain from ore to metals. Outotec aims to guarantee the best return on the customer’s investment with minimal ecological impact. The benefits of this approach include conferring the license to operate, maximizing recovery, and reducing emissions as well as energy and water consumption. Outotec´s strategic aim is to transform from an equipment supplier to a life-cycle service and high-value solutions partner for customers. Dr. Antti Roine is Technology Director at Outotec Research Center in Pori, Finland. He is head of the Modeling and Simulation team, which develops artificial intelligence expert system platforms and applications for process design and operation. He is a graduate of Helsinki University of Technology (Aalto University) and began his career at Outokumpu (Outotec) in 1978 as a summer trainee. He has been a project manager on a large number of pyrometallurgical and hydrometallurgical projects. He has also supervised the thesis work of 14 students. 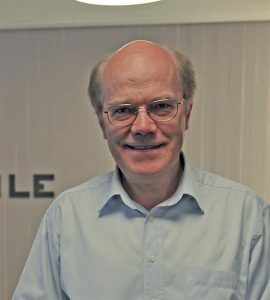 He started the development of HSC Chemistry software at Helsinki University of Technology (Aalto) in 1979 and has been in charge of HSC development ever since. Antti and HSC software have been cited 10 011 times and his H-index is 48 (WoS, 2017).